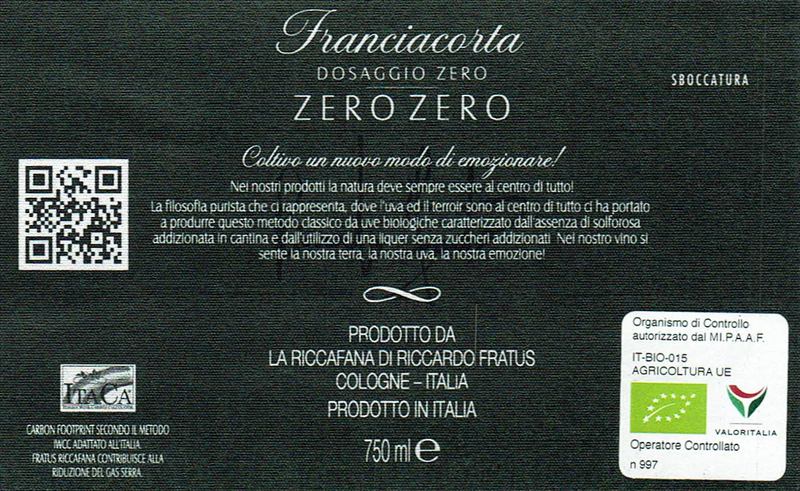 Online sale of organic Franciacorta Zero Zero Buy directly online our organic Franciacorta : we guarantee a prompt delivery in 24/48 hours. 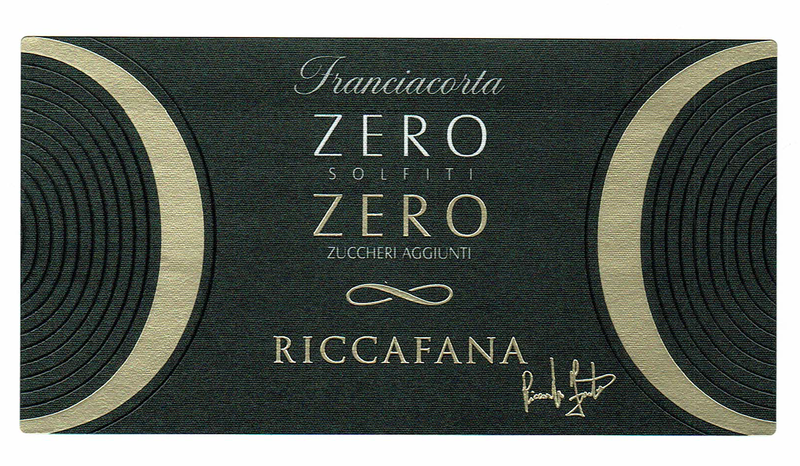 Franciacorta organic Zero Zero Without Sulfites and Without Sugar made of 85% organic Chardonnay grapes and 15% organic Pinot Nero grapes. "Our Franciacorta Zero Zero is the highest expression of our productive phylosophy" - says Riccardo Fratus, the owner of the cellar. It's an Organic Wine , of highest quality , with a complex and ample bouquet of grassy, floreal and friuty perfumes. During it's making, we always keep an eye on the landscape and, of course, on the health of our customer. No sulfites are added during the whole wine making process. Olfactory Analysis: quite intense, and fine, floreal, grassy and tropical fruity. No sulfites are added during the whole wine making process.